The poster also introduced us to debutante Sunny Kaushal (brother of Vicky Kaushal), who will be seen as Himmat Singh in Gold. Gold is the fictionalised retelling of India's fantastic win at the 1948 London Olympics. 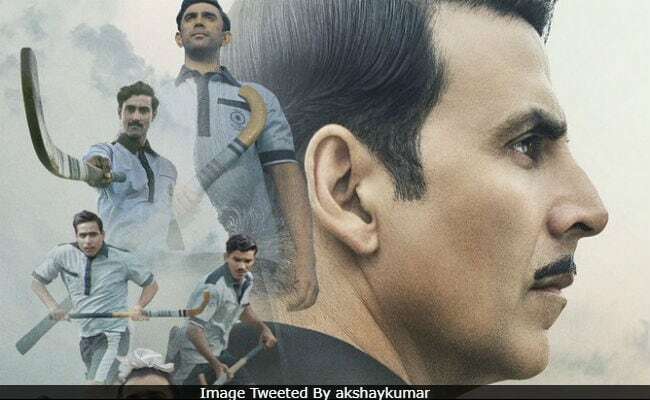 Akshay Kumar plays the role of a patriotic hockey player, who wants to form a team to win gold medal at the Olympics but as a free nation. It is an inspiring story of India's first gold medal in the Olympic Games in field hockey. The makers had earlier dropped several posters and teaser from the film, giving us glimpses of what the film is going to be all about. The poster shared earlier, gave us a brief introduction of Akshay Kumar's co-stars in the film but Mouni Roy was missing from it. The actress is making her Bollywood debut with the Reema Kagti-directed film Gold. Here are the other posters of the film which have been released so far. Watch the Gold trailer here. Of the film, co-producer Ritesh Sidhwani told news agency PTI, "It is not a biopic. It is a completely fictional story but it is set against a real backdrop between 1933-48 India about what the country was, the sports...about hockey. It is not based on any character." Farhan Akhtar and Ritesh Sidhwani jointly produced Gold under Excel Entertainment. Its Akshay Kumar vs John Abraham at the box office on August 15. Akshay's Gold and John's Satyamev Jayate will release on the same day. John Abraham, who launched the trailer of his upcoming film recently told news agency PTI: "Akshay is a friend, I wish him the best. Two films can release on the same day as both the films are of different genres." Yamla Pagla Deewana 3, which was also scheduled for Independence Day release, will now hit screens on August 31 to avoid clash with Gold.